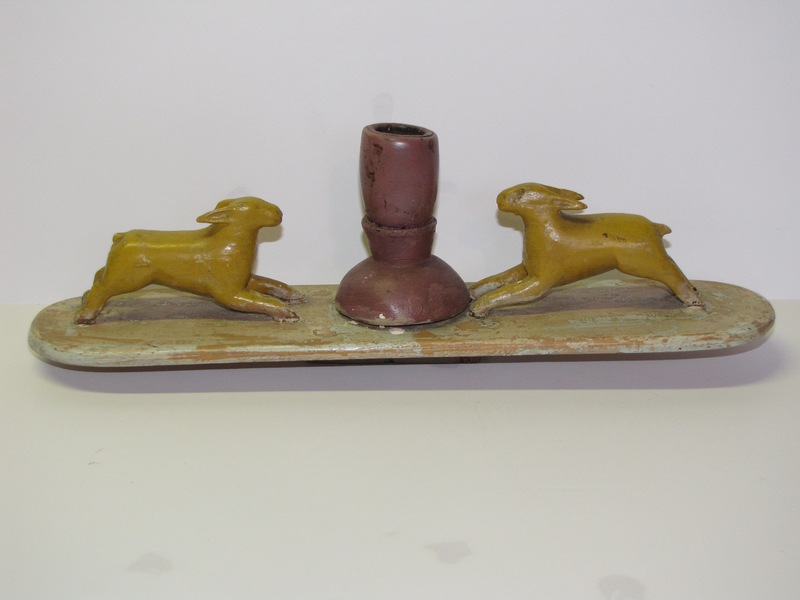 A wonderfully naïve candle holder from Quebec. 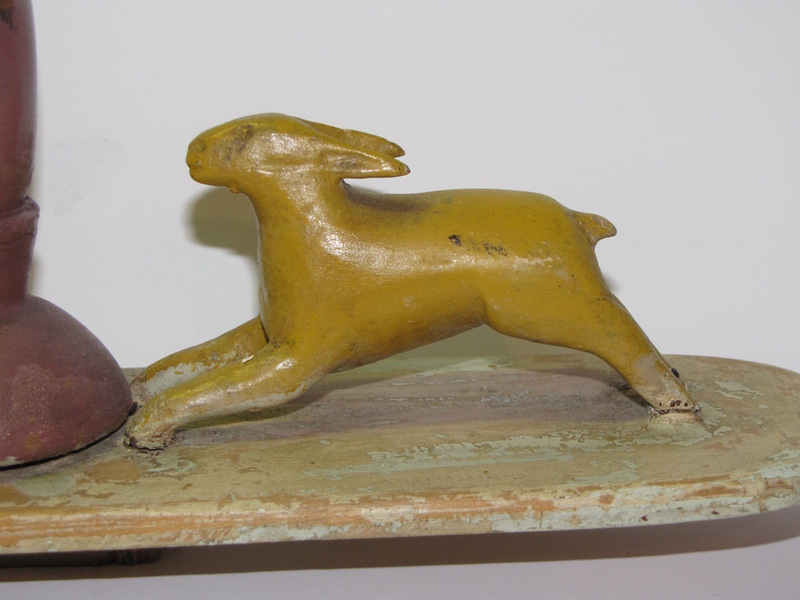 All carved wood – two rabbits and a candle holder. 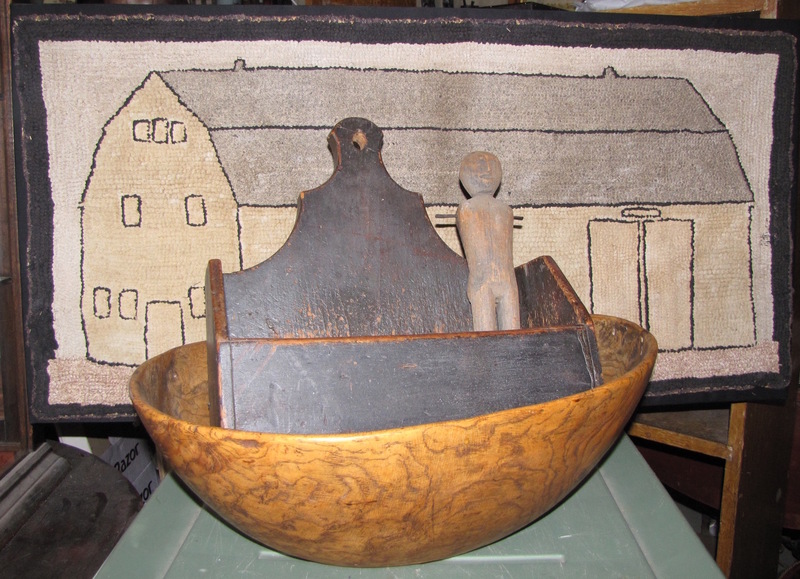 Circa 1920’s, once owned by dealer Harriet Hawkins – her original price tag is still on the bottom. Small breakage on one ear. A third photo is included as I pack for the Bowmanville Show on Easter weekend.